As some have predicted the imminent demise of retail gaming outlets, brought on by an era of new restrictions on game sharing and the used games market, US retailer GameStop has drawn a course full sail in the opposite direction. A new report by Games Industry reveals that the US gaming giant actually experienced enormous profits over the last quarter, driven primarily by Nintendo's portable console sales of 2DS and 3DS, as well as Rockstar Games' juggernaut Grant Theft Auto V.
GameStop's third quarter fiscal results, which tallied up three months of business ending on November 2nd, indicated that total sales were up 18.8% year-over-year. Thanks to Nintendo's latest portables, hardware sales jumped 15.3% over the same period. Perhaps the most striking figure of all, however, was the company's claim of a $68.6 million net profit for third quarter 2013 — a stark contrast to the $624.3 million in losses rung up for the same period in 2012. Early in October, we predicted a larger-than-expected launch for 2DS. 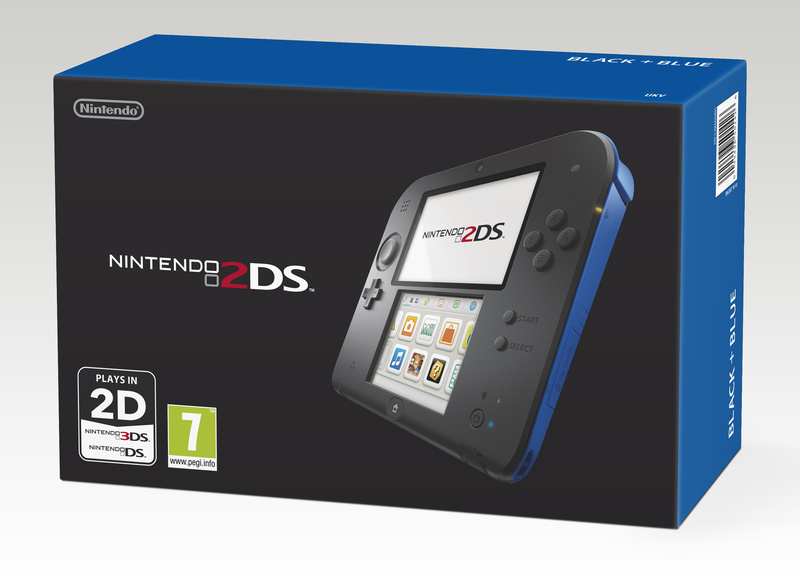 Although it suffered some ridicule upon its announcement, the system's sales figures have had the last laugh, with 2DS placing first among console sales in the UK shortly after its release. A strong showing for Pokemon X & Y — whose release was timed to coincide perfectly with the launch of 2DS — has been largely responsible for the warm reception received by the unique console, as both products are heavily marketed towards younger gamers. GameStop hopes that its 3DS/2DS-driven hardware sales will only continue to rise. With the launch of Sony and Microsoft's new consoles, and Nintendo's console sales picking up steam, GameStop no doubt hopes to help usher in a new era of gaming while maintaining a strong business. 3DS/2DS are printing so much money even GameStop gets rich from them. Since their making money off a Nintendo Product how about you give Nintendo a BIGGER shelf for their products and not that dark forgettable corner. @Prof_Clayton gamestop is like government, you give and give, and they give us not even 1/4 in return. But couldn't agree more with ya! @allplatfrmgamer I second that! How is Nintendo supposed to grow when people don't even give it a chance. @Prof_Clayton how do you think they made those profits! Hopefully this will have earned Nintendo a little preference in the coming console wars. It's nice to see that the used game market is still alive and well. @allplatfrmgamer Yes, I totally agree! I hate how they place Nintendo's games in the smallest and darkest corner of the store as if they hope no one will notice it. @MH_Natalie Game is the same in the UK (Slightly less bad but only just). What is worse is the preferential treatment they get in exchange for giving nothing. (What they do with used games is actively worse than places that just sell new and the reason for the stupid DLC policies we get). Regardless of what people think of Gamestop, this is good news. The dedicated handheld market is still strong and with three next-gen consoles now on the market and all armed with great 2014 lineups whether your own just one or multiple consoles, hopefully this industry will start making a massive comeback. The numbers the last 3 years have been pretty dismal. What @allplatfrmgamer said. Stop putting Nintendo in the smallest corner of the store, we're the only ones still buying a lot of games now, give us more to buy and we'll buy them. Takes me a total of ten minutes to read the boxes of all the new games on the shelves, keep me in the store longer and I'm more likely to find something I want to spend more money on. The 3DS family still has great potential. Ton's of games, Gamers love it, new games on the way...Long live the 3DS.